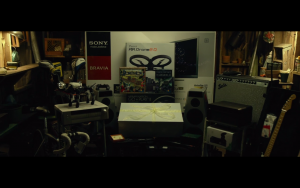 In film, board games are still used more for product placement rather than as an active part of a scene (an exception being Jumanji where the game was the main dramatic plot device). 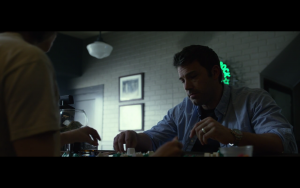 A recent, positive example, was Gone Girl which came out in 2014. Race for the Galaxy and Dominion were prominently featured (again we see the placement firm Rio Grande Games hired doing its exemplary job for their client) and did seem to have some small part in the plot. Additionally scenes featured Mastermind, Life and Scrabble. 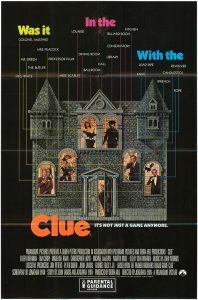 We also have many film examples deriving their plot straight from board games: the aforementioned Jumanji (which did have an actual board game tie in), the excruciatingly awful Battleship, Dungeons and Dragons (and the cartoon series), and the underrated Clue film to name a few. These all approach varying degrees of success. Personally I’d like to see Netrunner, Darkest Night, or Mage Knight turned into a film. Or even my own Shadows Upon Lassadar series (which of course, in my imagination, has a very dramatic fantasy visual quality). On a side note, there is actually a sequel to Jumanji coming out soon called Jumanji: Welcome to the jungle, but this time the characters are not transported into a board game, but into a retro-style videogame version of Jumanji instead. I only briefly highlight here the current exposure of board games in the media, but I believe it shows a positive trend in our hobby, that board games are becoming a mainstream social activity and that there is a wider understanding out there that Monopoly is not the only game people play with their friends and families. Gamers try …and then, we held hands. 2016 Game Challenge of …and then, we held hands. Fan Postcard for …and then, we held hands. ← Join the LudiCrew! Cardboard, wood, Nutella and fun for all in our SPIEL’17 family!